For Christmas with my side of the family we always make a homemade gift and do a fun gift exchange. 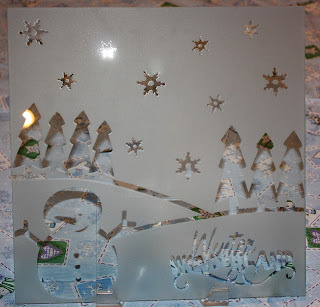 DH knew that this year he wanted to etch some glass. 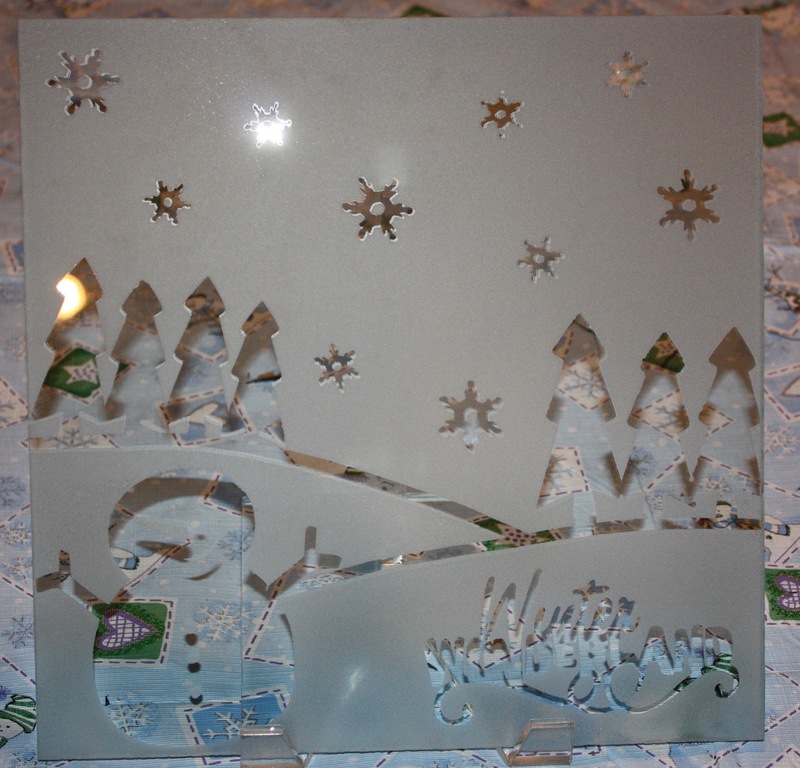 We got the piece of glass cut, then I set to work using my Cricut and cut some vinyl to create this winter scene. Once I had cut and placed all of the vinyl DH bead-blasted the glass to get the frosted look.